US Customs and Border Protection | US Import Requirements - What you need to know | Pedraza Freight Brokers, Inc. US Customs and Border Protection | US Import Requirements – What you need to know! Importing any kind of material goods in a country required the importer to follow some specific laws and guidelines. These laws are put in place so that there are no harmful or illegal goods that go through the borders. In the US, the security checks are done by the US Customs and Border Protection or CBP. Import documents are vital in getting you clearance from the CBP. The nature of the type of documents needed when importing to the US depends on the trade agreements and the nature of the product that you are planning to import. However, there are certain documents that apply to a wide spectrum of import goods. Having them ready is vital to obtain clearance from CBP. Customs Entry Document: A document containing information about the goods that are being imported into the US. 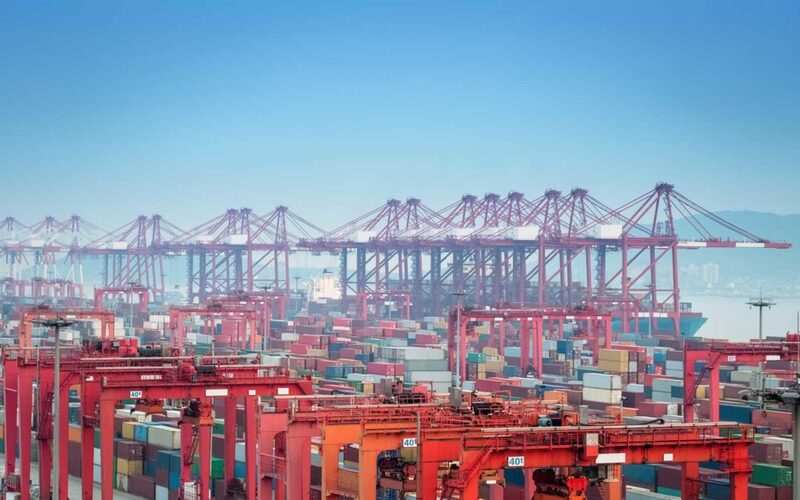 Generally, the customs entry document will contain comprehensive data on the goods like the country of origin, customs classification number, description, customs classification numbers, quantity etc. Note: the shipment must arrive at the designated port of entry. Without them entering the US through the right port of entry, they will not be considered as goods that are legally imported. You can find US ports of entry here. Customs Bond: Also known as Customs Surety Bond is an assurance from the importer’s side that they will fulfill the mentioned obligation upon the successful import verification. Entry summary (Right to Entry evidence): The importer must now sign the entry summary which gives the shipment right to make entry. Only the owner or a person designated by the owner like a consignee or customs broker are authorized to sign the documents. Documents that validate necessary assess duties, statistics info, and other important documents. Return of entry package verified by the importer, consignee or customs broker. Entry for Consumption: The Entry for Consumption is required for imported consumer goods that are to be used directly into the US market, either for commercial or personal use. Commercial Invoice: A commercial Invoice must be presented to the customs office so that the true value of the goods may be verified. There is a formal format the needs to be followed in the preparation of the commercial invoice that you can find here. If the goods do not have a commercial invoice a pro forma invoice will also suffice. Packing list: A detailed list that carries the information of all the products in the shipment. Ignore if it doesn’t apply to your specific merchandise. Merchandise Admissibility documents: Any special documents that relate to a specific kind of merchandise that validate the import. Note: Since textiles are considered as trade sensitive, they will be subjected to a higher degree of inspection. 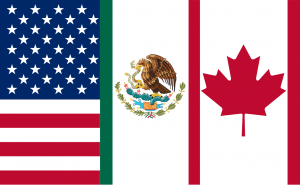 There are certain benefits to importers when they are importing goods to the US from the countries that make up the USMCA which are – the US, Mexico, and Canada. So let’s say if you are exporting from Mexico to the US, you don’t have to go through every single process that we have mentioned here. When you are importing from a USMCA country, you will be having special consideration in both costs, as well as customs, check procedures. According to the USMCA trade pact, which is the replacement for NAFTA, there are many new changes that will affect the importers. We will list down the most notable additions/revision below. Zero tariffs will be applied to automobile imports, granted that 75% of the components that make up the car is manufactured in Mexico or Canada. Terms of copyright have been extended to 70 years beyond the life of the author. Section 232 on the import of Steel and Aluminum is still in effect. The use of Section 232 to impose tariffs on steel and aluminum had angered many, and economists stated that in the long term, these tariffs will impact the US economy itself. However, section 232 still stands viable to trade. If you want to import merchandise into the US, then you need to make sure that you have every single document in the right order, filed with accurate data. CBP doesn’t make compromises when it comes to paperwork and not having the right guidance might leave you with a considerable amount of monetary loss. If you want expert advice on import and export or a team that would handle everything for you, then you can contact Pedraza Customhouse brokers and we will take it from there! Our team comprises of professional trade facilitators ready for undertaking your trade requirements. Contact us today!